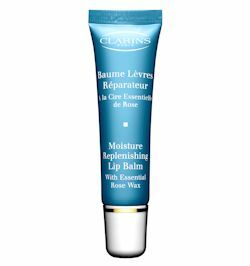 If your lips are feeling a little dry after our chilly winter, it is time to give them some love and Clarins Hydra Quench Moisture Replenishing Lip Balm is your ticket to softer, moisture rich lips. This is a gorgeous lip balm, it protects, smooths and instantly leaves your lips feeling healthier. Ingredients like shea butter, wild mango, vitamin E, essential rose wax, olive extract and rice oil work together for a kissable result. This leaves a lovely glossy (not sticky) finish and smells divine…this is one lip balm that will become a staple in your beauty collection.